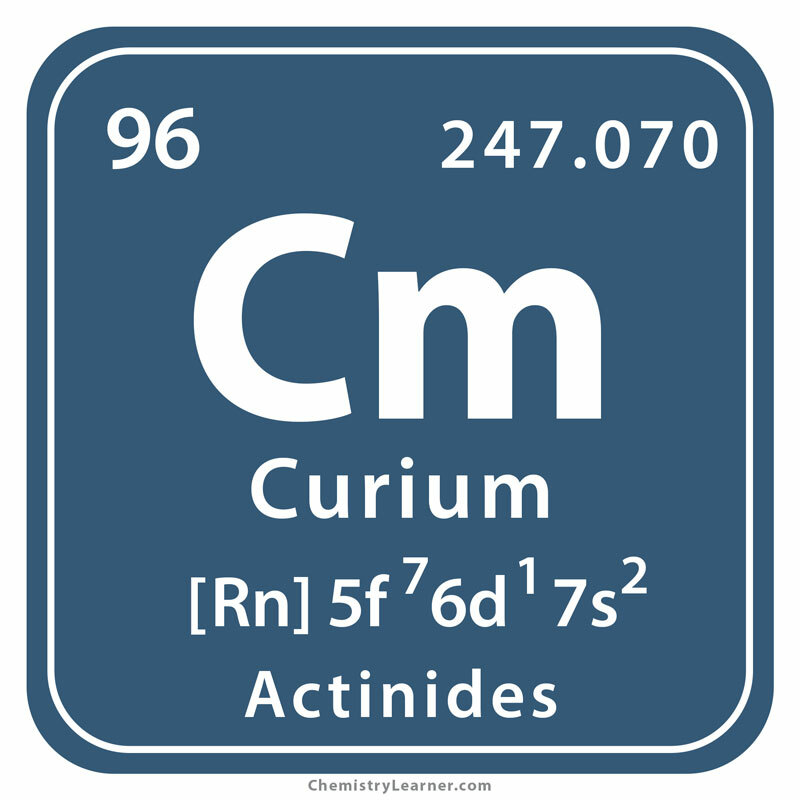 Curium (pronounced as KYOOR-ee-em) is a radioactive metal belonging to the family of actinide metals and denoted by the chemical symbol Cm . 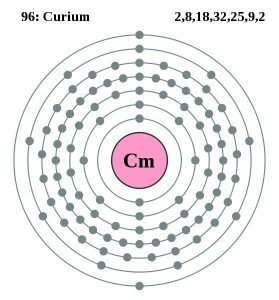 It has 15 isotopes out of which the most stable one is Curium-247 with a half-life of about 15,600,000 years that undergoes alpha-decay to form plutonium-243 . 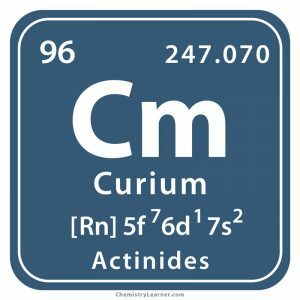 Origin of its Name: It is named after the well-renowned scientists, Pierre Curie and Marie Curie, the discoverers of the radium. 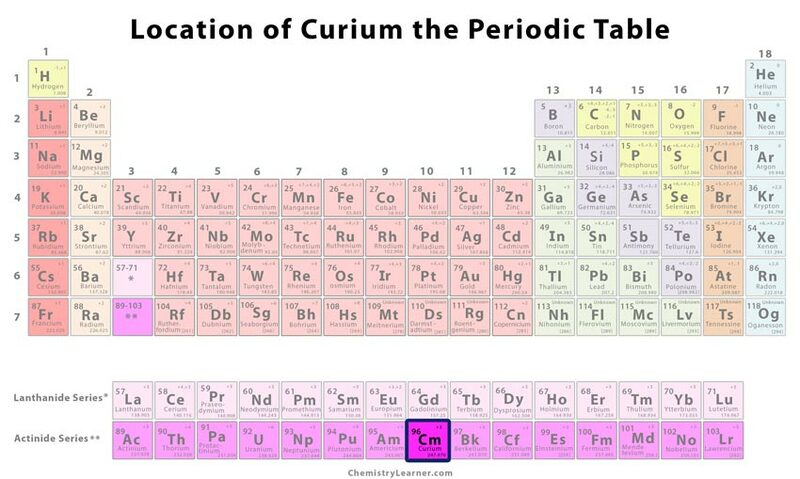 Who Discovered it: The element was synthesized by the research team of Glenn Seaborg, Albert Ghiorso, and Ralph James . In 1944, Seaborg, Ghiorso, and James bombarded plutonium-239 with alpha-particles in a cyclotron at Berkeley, California. It was then sent to the Metallurgical Laboratory at the University of Chicago to isolate and analyze the new element. On 11 November 1945, after the end of the World War 2 the discovery was revealed by Seaborg at a radio show where he had been invited as the guest scientist. It was made official the following week . 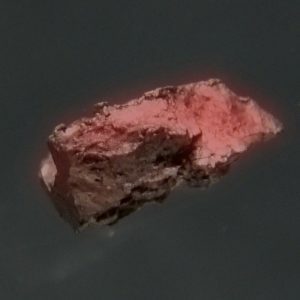 As it is not found naturally in the earth’s crust, the radioactive element has only been used in basic research studies due to its limited laboratory production. Also, it does not react with other compounds. 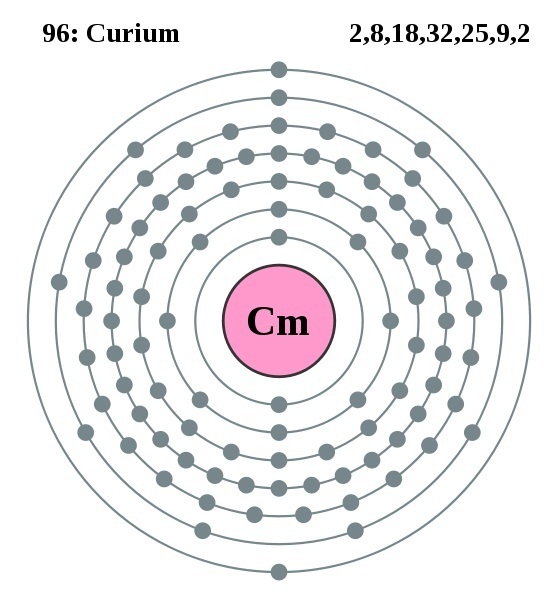 However, curium-244 might be applicable as a power source for operating radioisotope thermoelectric generators used in spacecraft [2, 3]. The radioactive element is not commercially available outside of laboratory production.